I’ve been meaning to write a review about Piega for a while now. During the last 2 years I had the chance to listen to some of their speakers and every time I’ve been struck by their wonderful sound. Actually, one of the best sound experience I have ever lived was with Piega Coax 120.2. Unfortunately, this is not a review of the 120.2 , but I do have a wonderful pair of Premium 3 speakers in my living room. PIEGA SA was founded in 1986 by Leo Greiner and Kurt Scheuch, an unlikely pair with completely different strengths. Kurt Scheuch is responsible for innovations and technical matters, while Leo Greiner manages the company’s finances. A few years ago the 2nd generation entered the company; a breath of fresh air so to speak. We remain a family-owned company with a vast amount of experience, high flexibility and short decision-making paths. Our two highlights – ribbon technology and seamless aluminium housings – are responsible for the outstanding sound characteristics of our loudspeakers. The fact that these are real innovations with measurable and audible added sound value has been confirmed many times over by the specialist press over the last few years, and our continuously increasing fan base also speaks for itself. Piega’s specialities are the LDR (Linear Drive Ribbon) tweeter ribbons and the coaxial ribbon system. The design of both systems is predominantly based on a strong magnetic field and an extremely thin, partially embossed, foil. For the coaxial system, the acoustic centre of the entire mid- and high-range is at precisely the same point on the X,Y and Z axes. This means that the system is the only real point sound source on the market. Time-aligned emission in all dimensions is the valuable advantage of this uncompromising construction. The precise, seamless housing is pressed from a single aluminium block. The optimal damping prevents any intrinsic resonance and the natural sound reproduction is one of the key benefits of our aluminium housing. 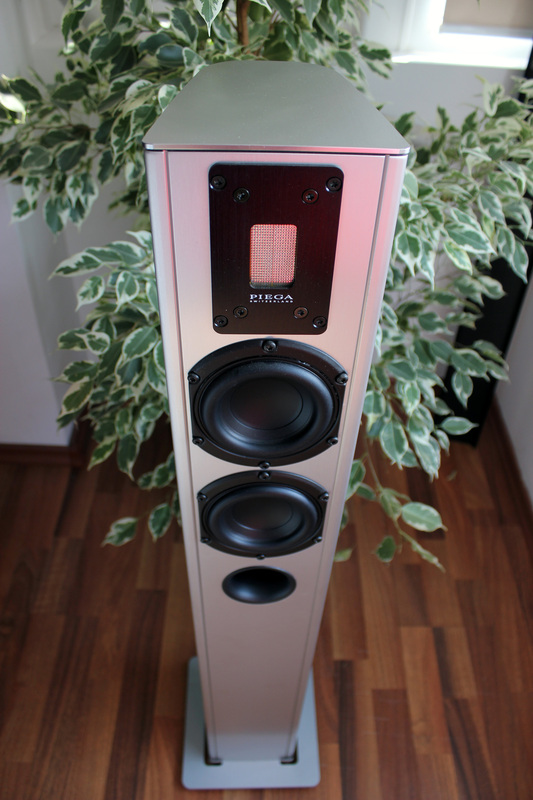 Some of the main achievements of Piega are the ribbon tweeter, ribbon midrange and the coaxial midrange / ribbon system. From the very start, Piega has used its own ribbon tweeters which were developed by Kurt Scheuch and are still handcrafted and produced in Horgen. In 1993 the first PIEGA Ribbon Midrange followed the LDR (Linear Drive Ribbon) Ribbon Tweeter. In 2000 PIEGA combined Tweeter and Midrange to form one unit and thus released the world’s first Coaxial Midrange / Tweeter Ribbon System. 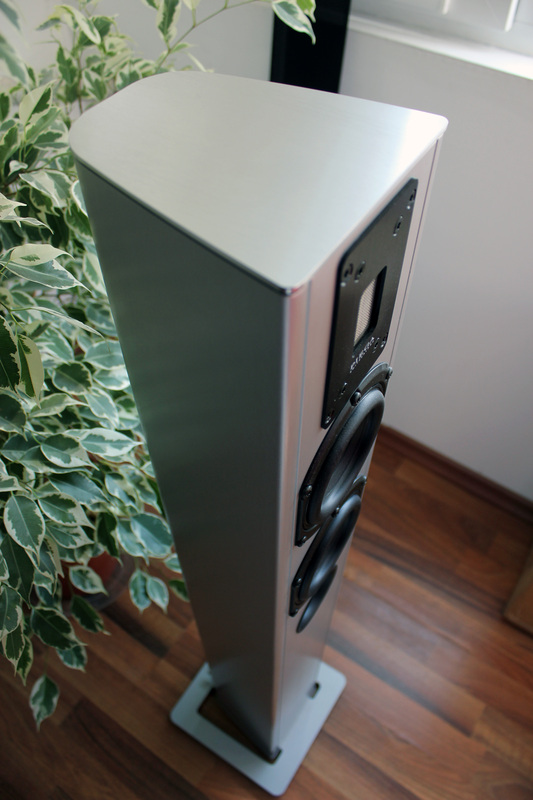 Beside the ribbon technology, the aluminium cabinet is one of the most characteristic features of PIEGA’s louspeakers. Having heard the Linear Ribbon Tweeter and the Coaxial Ribbon System, I must say that they really give something special to the sound. I am curious why I haven’t heard more often about Piega on the market. I think that they are a small company that don’t rely on marketing too much, but more on their increasing fan base due to excellent sound. After hearing some of their speakers I really think they deserve more attention. Unfortunately I don’t have the last revision, which is the Premium 3.2 which has better bass and also a newer and better ribbon which leads to better midrange and treble, but the original ones are very good as well and they impressed me so much that I felt it was a pity not to review them. While I cannot say that they have the most interesting design, they do have an excellent build quality and finish. When you look at them, you realized that they are small stand floors and they are not heavy at all either. I could carry them by myself 4 floors without needing help. Considering the size of these speakers, you will be surprised by the big sound they are capable of. The speaker are made from extruded Aluminium cabinets which reduce vibrations and add to a very sturdy build quality. As you have seen in the specs above, the Premium 3 has their renowned Ribbon Tweeter. The tests were performed with AG500 Power Regenerator, MSB Analog DAC, Audio-GD Precision 2, Focal Aria 906. First of all, I need to say that Precision 2 handled them like a champ. It showed again that it is capable of very good transients, transparency, details and energy. These speakers are small, but they don’t sound small at all. The drum was very punchy and with good impact, even at low volumes. The guitar plucks were incredibly pleasant as they were visceral and detailed. I left the voices at the end because they mesmerized me. Their clarity, detail and textures are incredible. It was like I had the singers right there in the room with me. The instruments struck me with very good details, especially on the upper midrange and treble. The instrument separation was very good and I almost felt like in the concert room. I said almost, because I felt that the lower end instruments could have used more body and this also affected the depth of the scene. Other than this, the details and transparency lead to a good listening experience. I was mesmerized by the voice. I have never heard something like this in my home. It was just magical. The transparency and texture of the voice are out of this world. It was like I had the whole scene in front me and the singer right there. Incredible dynamics, energy and details. This is the first thing that popped into my head while listening to this song. The drums have very strong and powerful impact and the attack was in general just wonderful. Every instrument was detailed, present, sparkly and well textured. It would have helped a little if the depth was a little bigger, but the listening experience was amazing. The experience was overall very enjoyable on this song as well. The voice was incredibly detailed as you would expect based on what I’ve already said until now. The drums have a very strong impact but don’t go as deep as they should. The fast sound of Piega Premium 3 lead to a very energetic and headbanging sound experience, but I would have liked a little more body in the guitars and drums. Yes, I cannot get enough voices with these speakers, but I wanted to see how it handled Leonard’s rugged and present voice. The female chorus at the beginning hypnotized me with their transparency and detail. When Leonard’s voice entered the scene I was pleasantly surprised to see that the Premium 3 can handle his voice excellently as well. With vocal songs I just loose myself in the music with the Piega Premium 3. Wonderful!!! The bass is quite good. It has excellent impact, speed and control. It even has punch and impact at lower volumes, which is extremely useful. However, it would use a little more presence and depth. I want the drums, guitars, cellos to go lower and have more presence (this is also available for the midrange). This is what you would definetely find in the bigger Piega models, but also Premim 3.2, as their bass also improved and in Premium 5.2 which have bigger drivers and enclosures. The purity of the midrange is mesmerizing and also refreshing. Everything is pure and very detailed. It reminds me of a crystal clear mounting river. This is also a major plus for these speakers. The treble is amazingly extended, sparkly and has no sibilance or harshness attached to it. I cannot get enough of them. Even my wife who was caught in the living room while I started playing some vocal centered music, couldn’t leave the room for another hour. She just stood there and listened to music with me. The purity/transparency, detail end extension of the voices are amazing. It is actually the first time that I have such speakers in my home and when going back to my headphones, they couldn’t reach the performance of the speakers. The voices sounded much better on the Piegas than on any of my headphones. 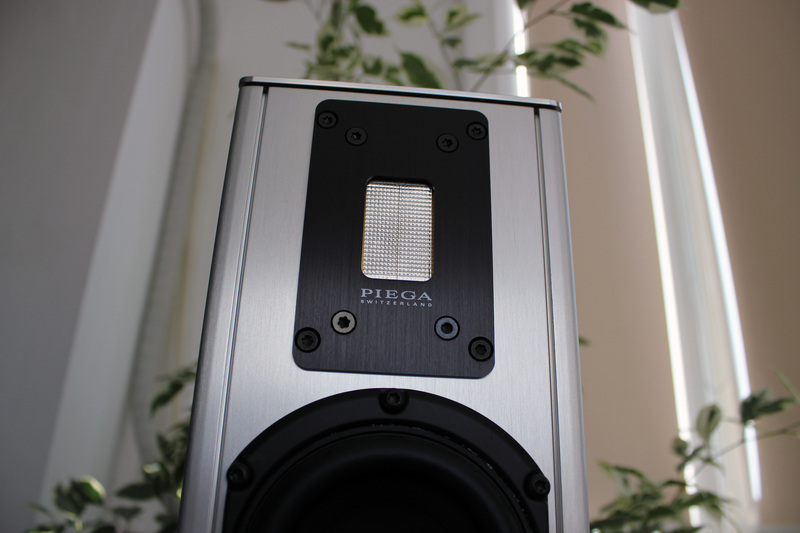 Piega usually amazed me with its transparent sound and Premium 3 finds itself in this category as well. This is one of the strongest points these speakers offer. The details on Piega remind me of HD800 up to a level. The details are very good, especially north from the middle of the midrange. These speakers have very good dynamics. Every instrument has a life of it’s own. When needed, the Premium 3 can transmit the song’s energy very well to the listener. The transients and energy are incredible even at lower volumes. I think this is major plus for these speakers. The soundstage is tall & wide but would need a little more depth. Overall the soundstage is good and combined with pinpoint imaging and instrument separation, I often felt like near the scene of the singers. As I said somewhere in the upper text, this is the first time when I had speakers in my home for review to make me think that my headphones are not rising to their performance level. When I think about the Piega Premium 3 the following qualities pop into my mind : purity , fast, impact, dynamics, details, amazing voices. I often found myself lost and emerged into the music because of them. Please bare in mind that these are the old version and the newer revision, the Premium 3, are even better than the ones in this review. Considering the performance of these speakers, I really think that their price is good. The Piega Premium 3 are truly something special and you want great sound in a small package, they might be just what you were looking for. Thanks Dan for doing this informative review. If it was not for this one and only detailed review of the Premium 3, I may not not have auditioned a pair that became available locally. Within the first 10 seconds of auditioning, I just knew they were going home with me. I’m so happy I bought them and just can’t stop immersing myself into the music coming from these. I have paired it with a B&W PV1 and they make a brilliant combo. I am happy to hear that. Congratulation for the new speakers!